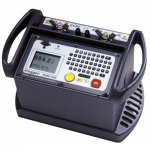 The TTR25 is an automatic hand-held battery operated transformer turns ratio test set. 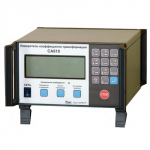 It is used to measure the turns ratio, excitation current and polarity of windings in single- and three-phase distribution and power transformers (tested phase by phase), potential & current transformers, and tapped transformers. 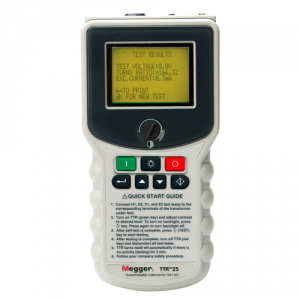 The unique design of the TTR25 allows the user to operate the test set while holding it in one hand. 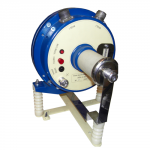 It effectively eliminates the user from having to kneel or bend down to operate the instrument and speeds up testing time. 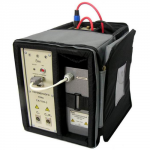 Realizing the extreme environments in which the TTR25 must operate, special attention has been paid to making it extra rugged, with a high impact, shock resistant case, yet incredibly lightweight at a mere 870 g (1.9 lbs).